Air is the most crucial feature in singing breathing exercises. As a singer, you should know how to control your breathing. Otherwise, you will become fatigued fast, thus, affecting your performance. The exercises produce results immediately and you will improve your performance permanently if you practice these techniques daily. I have not yet come across a singer, despite the style they use, who was not able to make an immediate improvement by following these breathing exercises. You can’t learn how to sing better without learning the correct breathing method. It’s impossible. Every sound you make, whether singing or speaking, depends on getting the best airflow that you can. The more you can control your airflow, the better the outcome will be. If you learn the correct breathing method, you can control things like the pitch and strength of your voice, as well as how long you can hold a note. 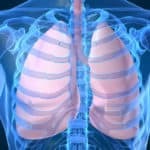 Many people in the course of their lives inhale to the upper lungs in such a way that the chest and shoulders go up. When air is in the upper lungs, you lack the detailed control that is required. A singer, runner, swimmer or any person who is in need of controlling their air, needs to make sure that their lower lungs is filled. According to these singing techniques, rather than a vertical breath with the body upwardly expanding, your breath should be horizontal with an outward expansion. How Does Breathing Work While Singing? In normal breathing, the process of inhaling and exhaling is shallow, while in singing, you have to inhale faster and exhale slowly, and in doing this, you have to adopt proper vocal breathing exercises. Aside from this style of breathing, you have to keep a good body posture. If you maintain a perfect body posture, you can sing with great ease because you can control your breathing style. However, controlled breathing is not achieved naturally. You have to indulge in practicing hard to attain proper breathing which is required in professional singing. Your ability to sing proficiently depends on the way you can control your breath that is why you need to practice a lot of good breathing exercises. 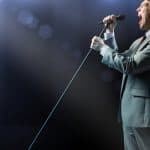 In this article, you’ll learn some breathing exercises like inhaling, exhaling and posing required for pro singing. The first exercise is called Breathing Exercise for Inhalation which involves taking a full breath quickly to match your voice with the accompanying musical instruments. In doing this, you should explore the best way to take oxygen by performing simple vocal breathing exercises. Assume that the air that you’re taking is truly heavy that it falls to your belly button; so, breathe faster as the air quickly falls inside your body. This concept deals with visualizing the heavy air that enters your body but quickly falls inside your body. Filling your lungs rapidly is the way you should inhale in singing. The initial reaction of your body towards this technique is that you could perhaps yawn a lot. But don’t worry about this; it’s just a natural tendency for your body to react since it is getting confused with different amounts of oxygen entering it as you perform your vocal breathing exercises. The second exercise is called Breathing Exercise Exhalation which requires a smooth and consistent exhaling process in singing. If you breathe this way, you can sing a variety of high notes as well as slow phrases with great ease. Try the best breathing technique in singing which is blowing a feather around the room, and blowing it up high on the air. To do this, you have to blow a long stream of air to move it up. In your effort to let the feather stay up in the air, observe how your body moves. Try to determine which parts of your body are moving while you’re in the act of performing vocal breathing exercises. In this exercise, you will notice that your abdomen is slowly coming back to normal, and the chest stays in the same position. After doing this, it would be necessary for you to take a deep breath immediately. The third exercise is called Breathing Exercise to Warm Up which aims to loosen your lips in singing. Here, you are supposed to breathe normally and place your lips together. Perform an exhale for about 3 minutes in such a way that the air will pass between your lips causing them to shake. 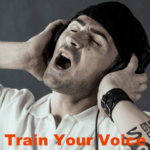 With these vocal breathing exercises, you can sing correctly at last! If you want to learn the correct breathing method to improve your singing voice, do yawning exercises. That may sound odd, but it will help your vocal muscles to relax. It’s very important, if you want to learn how to sing better, that you practice inhaling quietly and relaxing your muscles, after all. The first step is to stand in a tall, yet relaxed, position. That will allow proper air flow. See www.breathing.com for more tips on that. As you breathe in and out, slowly, picture the process fully. If you use the correct breathing method, you should feel a sense of expansion all around your abdomen and ribs. That’s what happens when your diaphragm lowers and allows your lungs to fill properly. As you learn how to sing better, by doing that training exercise, picture it as a three dimensional thing. In fact, you may want to try doing the exercises while laying on the floor. If you set an object, such as a book, on your abdomen, you can see how breathing in and out affects the object. A singing coach can also help you to learn how to sing better by using the correct breathing method. You should try to avoid certain things. For instance, try not to move your head, neck or shoulders too much. Also, try to keep your chin as level as you can. You need to look and feel relaxed, if you want to sing well. There are plenty of other breathing exercises that you can use to learn how to sing better. You can try breathing through an invisible straw, for instance. That will help you learn better air control. You can also try taking a deep breath and saying “ha ha ha ha ha” 5 times. If you still have air left afterwards, you are controlling your breathing well. Hopefully, these tips have helped you learn a bit about the correct breathing method for singing. It can help not just your singing voice but, as stated earlier, your over all health, too. So, learn how to sing better by controlling your breathing and you’ll be much better off for it. Have you seen babies breathing? Watch closely and you will find their baby stomach moving up and down with each breath they take. That is because they use their diaphragm to breathe and not just the upper part of the chest. Likewise if you were to watch yoga practicing people you will see the same. Well, god had actually designed it that way; the natural and healthy way to breathe. But of course we mortals have to twist and turn everything to suit our jet setting pace and so we just take shallow breaths to keep us alive. Unfortunately this kind of breathing is not enough for singing. How do we repair the damage? Here is a tip. Place a hand on your stomach and take a deep breath with your diaphragm. You will feel your hand moving outwards as your stomach fills with oxygen and then slowly exhale. Again you will feel your hand going inside as the stomach deflates. This is the proper way to breathe. What are its effects? Well, your blood circulation becomes much better with increased oxygen levels, your voice will sound fuller, richer and rounder and you will be able to hold notes for a longer period; that is you will not go out of breath very fast which is a basic pre-requisite for singing. How many times should we do this exercise? You should take three to four deep breaths each time and at least four times a day. You can do it at your convenience. If you are a creature of habit, then ten minutes of deep breathing exercises every day will work wonders. You can handle this exercise easily you know how to sing with your diaphragm. After putting air in its right place, you need to know how to control it using the diaphragm. Thus, it’s the most important part on learning how to breath correctly while you’re singing. A diaphragm is a type of muscle that is found below the lungs and plays the major role of filling and emptying the lungs. When you exhale all the air from the lungs you will be able to feel the diaphragm below the rib cage being pushed up against the lungs. Outside the ribs you will feel the abdominal wall being pushed in, whereas inside the ribs the diaphragm is being pushed up. The diaphragm is not only supposed to be strong so that it is able to push hard if you want plenty of power, it also needs to have strength and control if you are singing an accurate and fast lick or a great jump in pitch or very quietly. Building the diaphragm’s control and strength is one of the initial singing breathing techniques you have to learn. One of the techniques you need to be aware of when you are on the microphone is that the abdomen should be kept tight (picture yourself with a piano and you are going to lift it), your throat should be relaxed (as though you are yawning), letting the movement of enough air. In case you require higher notes you can get these with more air and not squeezing the neck muscles (a mistake commonly made by singers who run out of breath way before they are ready to call it quits. You can experiment this by imagining yourself seeing a friend of yours across any busy street and you want to get his or her attention. Shout out “hey” You will notice that you are able to do this when relaxed with plenty of air. This is how notes that are on the edge should be hit; a relaxed throat and air being pushed out using the abdomen. Final Comment: though you may or may not believe it, TALKING strains your voice more than SINGING does (if the singing is being done right). As a matter of fact, Broadway singers have signed a contract that they will not say a single word on the day the show is scheduled until the end of the performance. So if you are interested in being a successful and professional singer, you have to apply the singing breathing techniques; that is know how to focus, shut up and then sing!